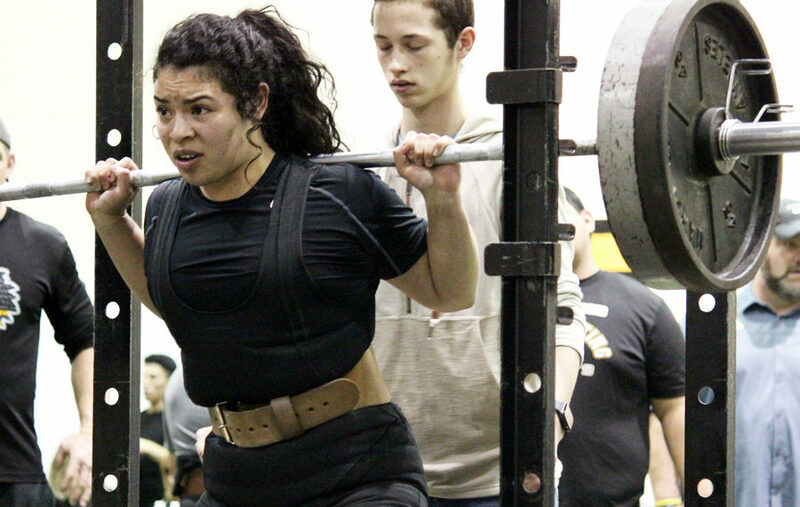 Statebound-- Junior Siria Martinez competes in the squat at the Seminole meet on Jan. 24. Martinez took first place in the region on March 2, qualifying for state competition next week. 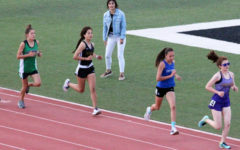 Junior Siria Martinez took second at the state meet in Waco on March 15. Martinez squatted 410 pounds, benched 290 pounds and deadlifted 350 pounds for a total of 985 pounds. 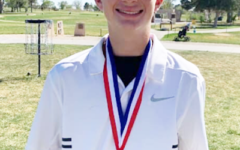 Martinez took first at the region meet at Greenwood on March 2 to qualify for state again. Martinez won the 181-pound category squatting 380 pounds, benching 200 pounds and deadlifting 345 pounds for a total of 925 pounds, beating Perryton’s Stephanie Esquivel by over 100 pounds. Martinez will compete at the state meet in Waco on March 14-15. The Maiden team took 10th overall at the region meet. Senior Chloe Gonzalez took 10th in the 132-pound class at region, lifting 620 pounds total.